Kenneth Rijock's Financial Crime Blog: DO VENEZUELAN TRANSACTIONS VIOLATE CUBAN SANCTIONS ? DO VENEZUELAN TRANSACTIONS VIOLATE CUBAN SANCTIONS ? 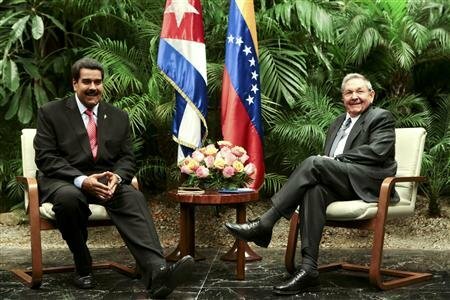 Venezuelan President Nicolás Maduro, during a recent meeting in Havana with Raúl Castro, concluded and agreement that provided for fifty-one joint projects in Venezuela. Maduro* and the Government of Cuba have had an open relationship for many years, which is one of the reasons that his presidency is so strongly opposed by many Venezuelans. The results of this meeting will unfortunately create new compliance issues. Since no concise list of these joint projects has been released, there are new possible Cuba sanctions issues and risks for American companies, citizens and residents. It is a sanctions violation for American companies to enter into any business relationship, or have any financial contact, with any Cuban national located outside the United States. (1) Is not a jointly controlled Cuban-Venezuelan entity ? (2) Is not managed, or staffed by Cuban nationals, who will be points of contact ? This represents a serious problem for US companies. Should one obtain a sworn affidavit from the Venezuelan company or government entity, confirming that it is not a joint venture with Cuba, and has no Cuban managers, and how would you verify this ? Will the Venezuelan entity conceal the truth, and give you a fraudulent affidavit, knowing that you have no recourse if you discover that it is not truthful ? Unless you actually visit the facility, verification will be impossible. This is a dilemma that appears to have no solution. Specially Designated Global Terrorist Group, the Revolutionary Armed Forces of Colombia, more commonly known as the FARC.